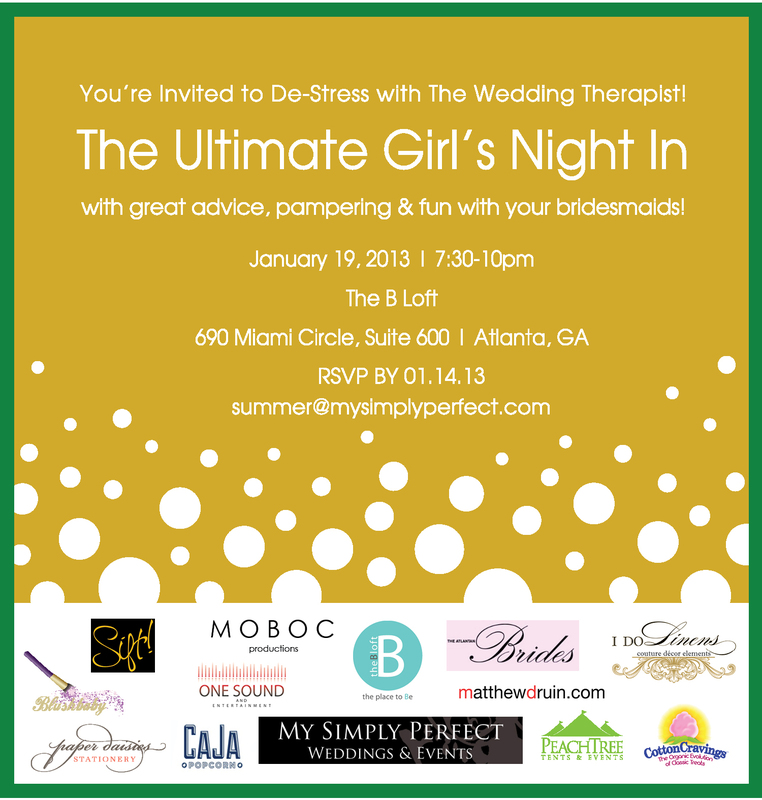 You're invited to join us on January 19, 2013 for the ultimate girl's night in!! Feel free to bring your bridesmaids, maid-of-honor, mother etc. Please RSVP by January 14, 2013!